The as-yet unopened Louvre Abu Dhabi has announced the purchase of a number of acquisitions to form part of the museum’s permanent collection. The actual works are expected to be announced in October. This represents the most recent assets to be added to the museum, which purchased the rights to be associated with the Louvre name. Tourists will be able to view the new works during the Museum’s Talking Art Series event happening from 3rd October to 26th June next year. 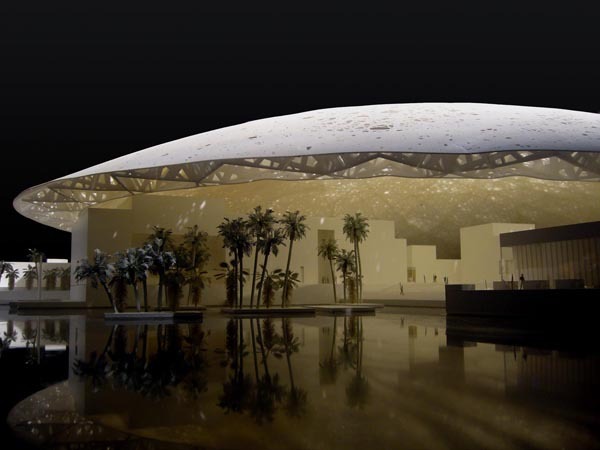 Sheikh Sultan Bin Tahnoun Al Nahyan, Chairman of TCA Abu Dhabi, said “We are pleased to share with the public the vast array of works acquired for Louvre Abu Dhabi, and allow for them to experience and interact with the museum’s content as we shape its collection and prepare for the opening,”. The collection is hoped to inspire discussions about the works and the museum’s narrative before the official opening in 2015. This is a huge step forward in promoting the new Louvre Abu Dhabi to overseas tourists and history lovers. President-Director of the Louvre Museum, Henri Loyrette said of the series; “The Talking Art Series are an essential step in building awareness of the future museum and its collection, enriched by new, exceptional acquisitions”. The new acquisitions include a wonderfully preserved pavement and fountain ensemble dating back to the early Ottoman period and a standing Bactrian Princess, thought to be from the end of the third millennium BC. The new acquisitions will be accompanied in the Series by a photography collection, which includes the most ancient known representation of a veiled woman, Ayoucha by Joseph Girault de Prangey. During April 2013 there is another planned exhibition titled Birth of a Museum. A similar version of the exhibition will be shown at the Louvre Museum in Paris at the same time. The new museum and it’s programmes are sure to make Abu Dhabi an even more desirable holiday destination, with many tour operators gearing up to incorporate the new Louvre in their excursions. Mosaic Holidays already offer luxury 4 & 5 star trips to the heart of Abu Dhabi, where you can see the Museum slowly coming together before viewing their Talking Art Series. They also offer many other activities to bury yourself in Abu Dhabi's rich culture and history, which you can find details about on their Abu Dhabi holiday page.